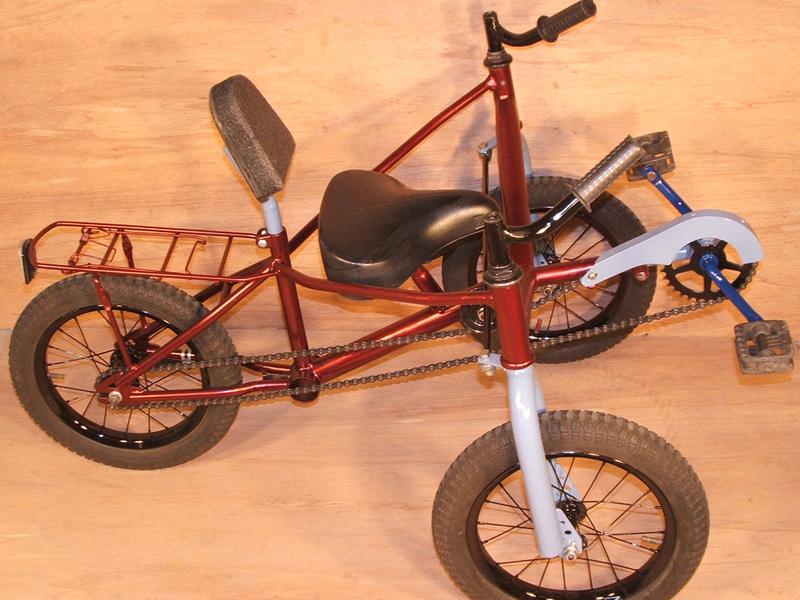 DIY Kid's Bikes, Trikes and Choppers Plan. Atomic Zombie KidsBikes plan includes eight fun rides that you can build for your young DIY bike enthusiast. 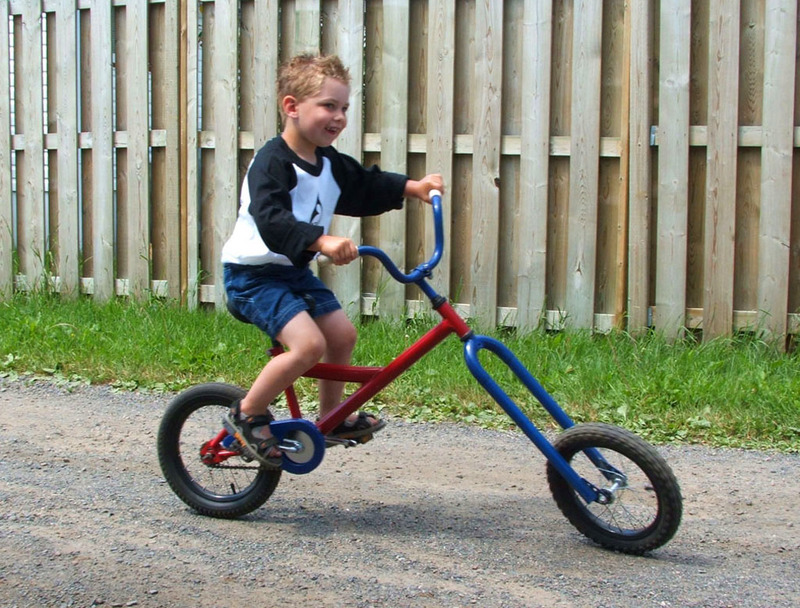 All of the projects are easily built using scrap bicycle components and small lengths of steel tubing, and you can mix and match projects to create many new and interesting bikes and trikes for your young test pilot. 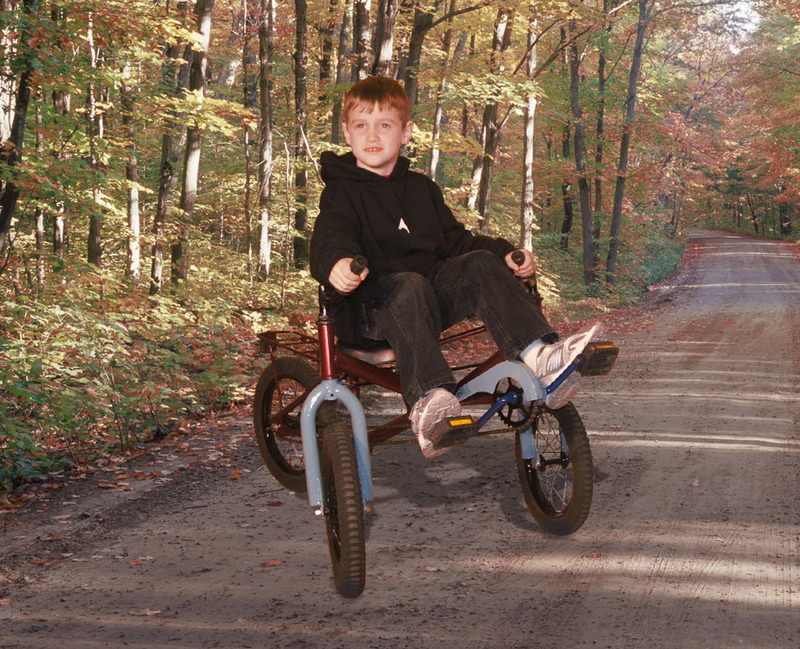 Choppers, trikes, and even an electric scooter - this plan has a good assortment of fun projects that you can build with your kids. All of these projects are very easy to make and only require the most basic parts and tools. You Only Need Basic Tools and Parts to Build These. Kool kids learn to ride a bike in style, and get to claim bragging rights for helping to build something from the ground up. Bike building is a hobby that can be enjoyed at any age, and offers a workout for the mind as well as the body. Recycle that unused bike into something new and exciting by merging it with whatever scrap bits and pieces you have laying around your metal junk pile. Choppers are a classic and fun way to turn an old bike into something cool and unique. Old tubing, recycled bike frames, and just about any kind of steel scrap you have laying around can be used to carve up a cool chopper for your young rebel. Build a Durable and Fun Electric Scooter. Modify an old electric stand scooter into a cool electric trike. Put that junk to good use instead of throwing it out. This multiple project plan encourages using whatever you have on hand to make cool bikes, trikes and choppers. If it's made of metal, it's good for parts! Spark creativity thinking and mechanical skills early in life, and give your young bike hacker a new hobby that will last a lifetime. Plan out your cool custom bike with your kid on the drawing board, and then scrounge around the scrap yard or back of your workshop for possible donor parts. Before you know it, youe will be painting your cool custom ride. 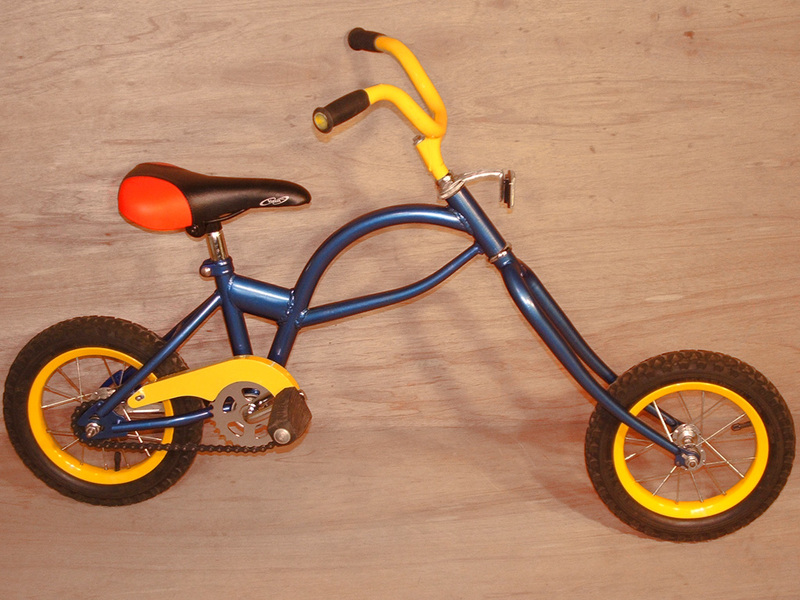 Build a Smooth Handling Kid's Tadpole Trike. 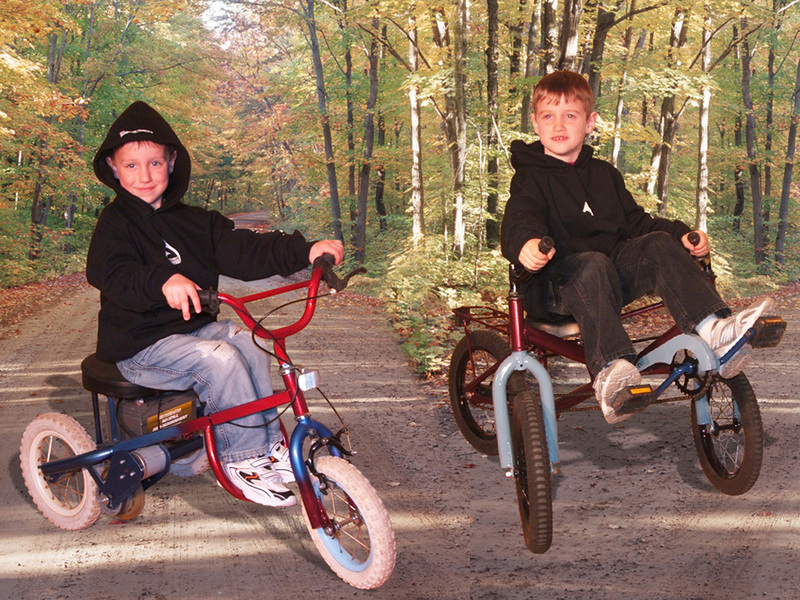 A Tadpole Trike configuration places 2 wheels up front, with the cranks ahead of the wheels. 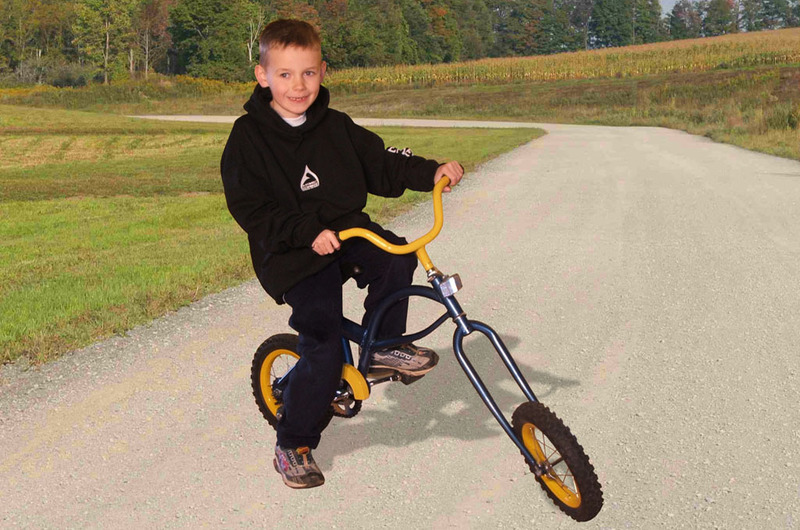 This type of trike is fun to ride, has responsive steering, and can be easily made from basic part components. No machined parts required. This robust design will run great on the bike path or off the road, and can even be adapted for an electric assist motor. Recycle those old bikes into something much better. Teach your young garage enthusiasts how to hack up old bikes to salvage the components for their own cool custom bikes and trikes. With a little work and a good coat of spray paint, your DIY custom bikes will roll down the driveway looking great. Choppers Are Fun to Build and Fun to Ride. A chopper is a rolling piece of artwork that is as individual as the builder. Choppers are also fun to ride, as they certainly have more quirks than a regular bicycle. Every DIY chopper will have its own unique look and handling. Have fun coming up with your own cool custom chopper themes, adding all the bling to the finsihed product when it comes time to paint and show off. Learning to take apart, repair, and modify a bicycle is a great skill to have later on in life, and it will spawn a lifelong DIY attitude. learning is always a lot more fun when you have something to show at the end of the job, so get your kids inspired to build! Modify Anything to Create Your Own Cool Rides. We design our plans so that anyone with a desire to build can make their own cool rides, and there is always plenty of room for your own modifications. Every single step of the builds are shown in great detail, and the plans assume you have only the basic tools such as a hand drill, angle grinder, and a any basic welder. Only common bicycle parts are used, along with steel tubing you can salvage from old frames and scrap yard parts. 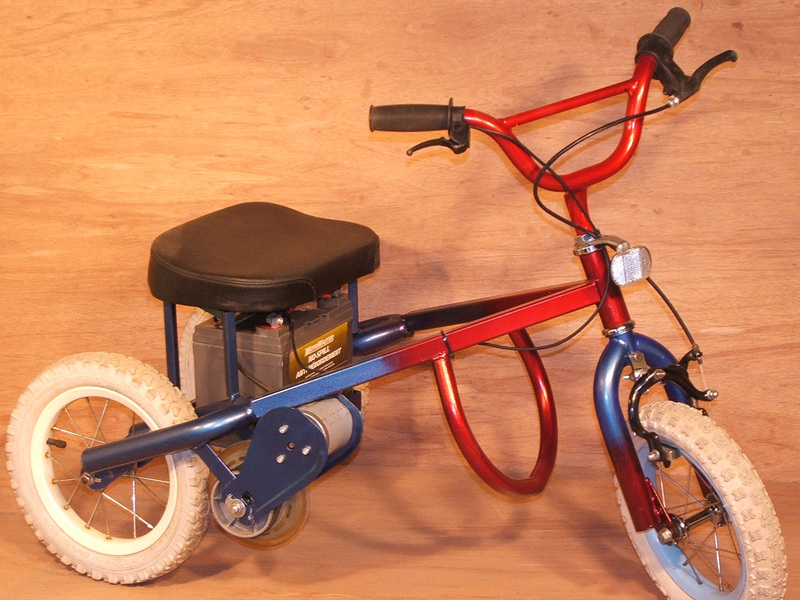 Each of the DIY kids bikes and trikes have standard bicycle chain drive transmissions, brakes, and are easy to ride. 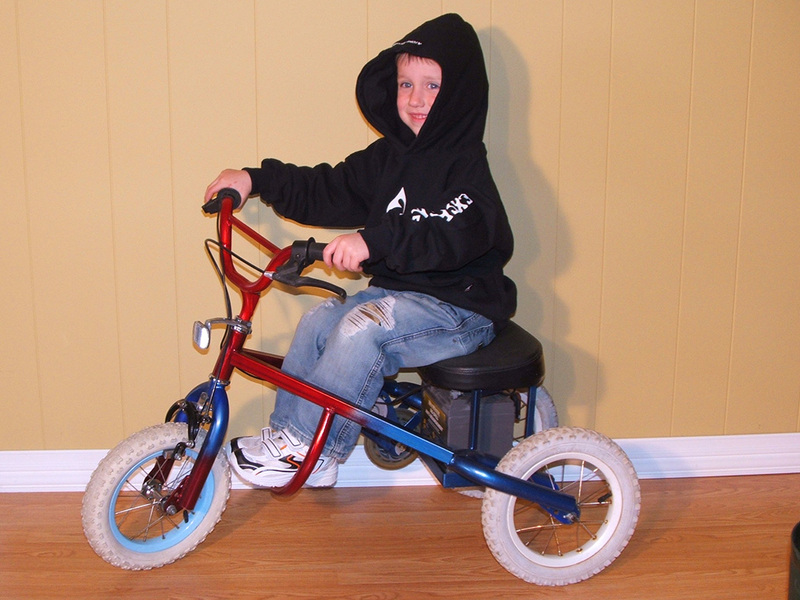 You can change around the plans or mix several together to create totally unique DIY bikes, trikes and choppers for your young riders. The Attention to Detail Makes The Ride. It's the small attention to the details that will make a DIY bike stand out, and you can do a lot with just some hardware store spray paint. Just like building a hot-rod, the obsession over details like paint and chrome polish will give your final product that bling. Just about any kids bike can be hacked into something cool, and you can pick these bikes up at yard sales for next to nothing. Even new, you can work on a budget. Most of the extra tubing you may require can be purchased in short lengths at any hardware store, or you can chop up those old bikes to salvage the tubing form the frames. Electrical conduit is another source of tubing that can be used for frame building. Turning your napkin sketches into something real is almost as fun as riding the final bike. DIY bike building is a very addictive hobby. Your young DIY enthusiasts will enjoy those weekends in the garage, making the sparks fly as you turn crazy ideas into reality. Roll out of your workshop in a single day on something completely unique and hand built from junk, and show off to the entire neighborhood. Your young inventors will enjoy saying "Yeah... I built this!" Work together on a fun bike project with your young inventors, and before you know it they will be teaching you something new! Hands on experience is the only experience that counts in the real world. Creativity is an attitude that knows no age limits.! Plans are Only $6.00 Each if You Purchase 6 or More.